The odds of being invited to an audit are not that high, really. Overall, they increase with your income and number of deductions. High-risk categories include small business owners, self-employeds, and individuals with lots of deductions and complicated returns and investments. In general, reports the IRS, if your income is under $200,000, your odds of being invited to an audit are very slim, around 1 percent. That climbs to 3 percent if your income is between $200,000 and $1 million. At $1 million, the probability begins to climb; today it averages 12 percent, which is nearly double what it was a decade ago. (1) The lowest risk? Short-form filers. 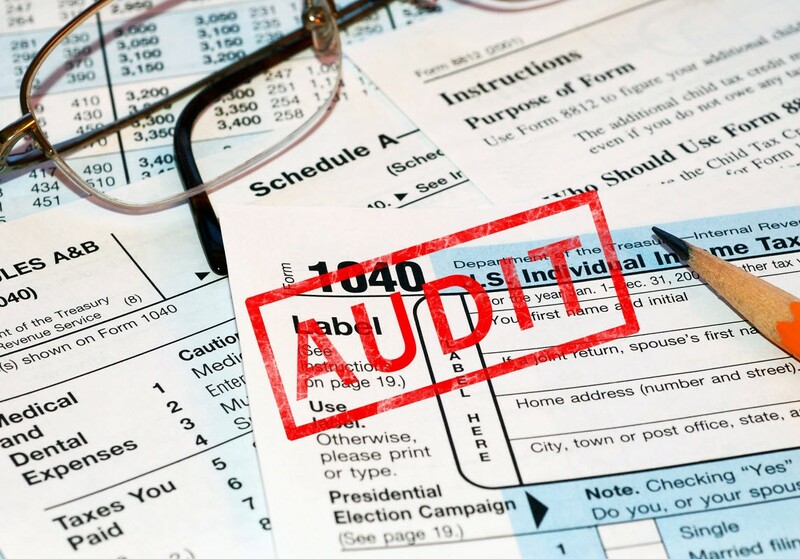 Though the probability of being audited may not seem all that high, the experience can be costly in time, money and emotional wear and tear, and it is best avoided, if at all possible. That is why it is always recommended that you take steps not to raise IRS red flags. The best strategy is to maintain a low-audit profile. As you approach this year’s tax filing deadline, consider ways to avoid catching the eye of IRS personnel. That way, your return is more likely to pass through the IRS processing machinery without a notice. Report everything. Do not overlook the $11 in interest on your savings account that the bank reported to the IRS. That will make a reviewer question what else you overlooked. Do not make any mistakes on your return. Double check all your figures. Make sure your calculations are correct and your information is complete. Math or other mechanical errors are sure-fire ways to get your file pulled for closer scrutiny. Penalties for oversights can be stiff. When in doubt, err on the safe side. Seek advice from a professional tax preparation service or call the IRS help line for individuals (800) 829-1040. File your return correctly the first time. Amended returns are almost always carefully reviewed, as are requests for extensions. File your taxes on time. Miss the filing deadline and you invite closer scrutiny and a potential audit. Prepare your return in a professional manner. Make sure it looks like it has been done with care and thought. If you do your own taxes and submit them by mail, make sure all information is legible. Avoid cross-outs, erasures and whiteouts. If it looks sloppy, as though you threw it together in 20 minutes, it will be that much more likely to be double checked by the IRS. Suggestion: Do a practice return first, and then transfer the information to the one you’ll submit. If you use an accountant, find a good one. Document. If you claim a large medical expense, for example, provide a copy of the invoice. If you make a larger-than-average charitable contribution, provide receipts or canceled checks. If you have an unusual item or an expense that is high, attach a letter of explanation and copies of canceled checks. Do not make the IRS come to you with questions. Do not get piggish by taking deductions that may be questionable, unless you are prepared to defend them. (Even then, time and money spent defending them in an audit may wipe out any savings you had expected.) The watchwords are “reasonable and relative” in relation to income. If you earn $45,000 and claim $25,000 in deductions, do not be surprised if the IRS requests a meeting. Do not play games or vent your frustration on your tax return. Some people lose their tempers on tax filing day. They write little notes in the margin, “forget” to sign the check, or mail the return a day late. That is just looking for trouble. Respond promptly if you get a notice requesting more information. Such notices are fairly routine and are not cause for alarm… unless you disregard them. They are usually very specific in nature. Respond in writing, providing complete details and explanations (but never more information than requested). Suggestion: Send your response by certified mail with a return receipt requested. Good luck and many happy – or at least unaudited – returns!